Hello! We've made it to Wednesday! That means it's Freshly Made Sketches day. Jen M is our hostess this week. I think Jen likes square cards, which are my nemesis, but I made one. 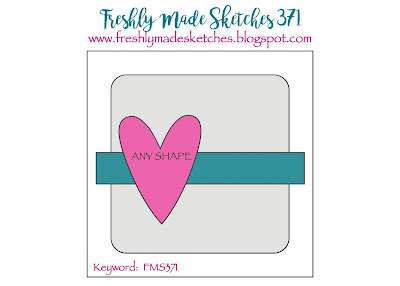 :) She kindly sent me some stitched square dies at one point, so I figured it was a great sketch to use them! I had pulled some Valentine's kinda stamps this week to play around with, so I used this cute cow from Avery Elle for my card. I'm still not back to stamping as much as I'd like. Weight Watchers takes time since we are cooking more and then I'm also trying to declutter on top of that. My poor kitchen!!! Laila's still having a ton of issues at school (already got a note today), so I'm already researching homeschool curriculum. Just so much going on. One day things will calm down, right? Maybe? I'm off to shower and then call and see if I need to pick Laila up or if I can go to the dentist as planned. Fun options, huh? lol I'm not sure which one sounds better. Hoping all of those things get worked out!! 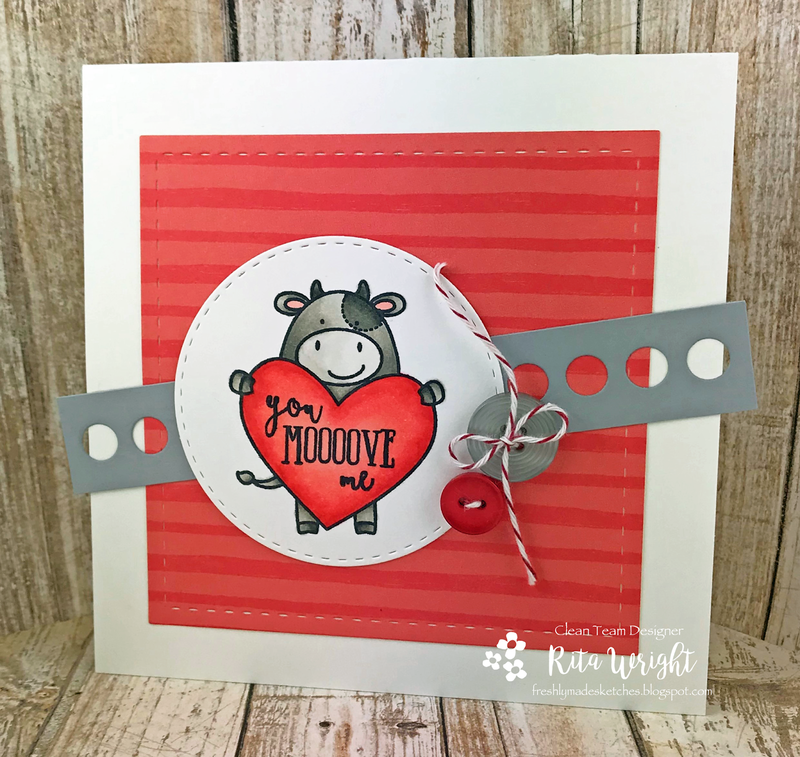 Your card is just darling - I love the angled middle strip and the image is so cute!! This little guy is adorable! Cute cUte card! I'm so glad you found some time to relax with a little craft time! Such a sweet image and what a fun dotted stripe strip in the background. I love this card! So fun! My son loves cows and would love this!!! Your cow is so cute and I love the colours! Perfect Valentine! Cute Valentine! I always love a good pun. Super-cute image and an adorable card! Your card is super cute, Rita. Things eventually do settle down and priorities eventually shift. Hope things settle quickly for you! Looking forward to seeing more of your wonderful work!